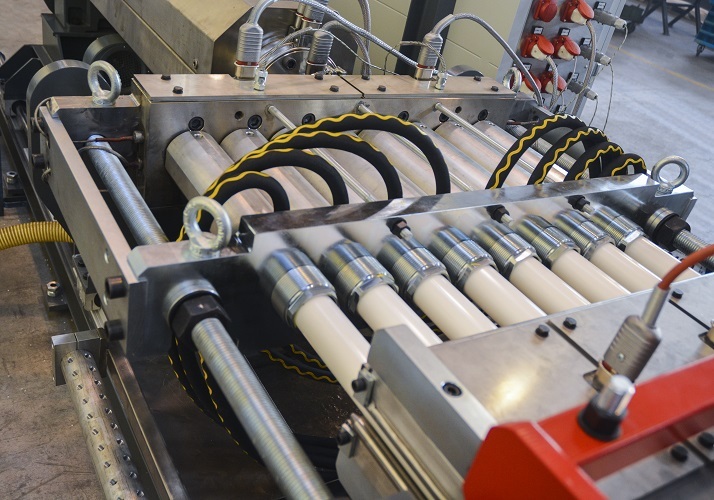 All of our rod lines are designed for the extrusion of rods and of perforated rods with variable diameter depending on the affixed die, with a yielding of 40/50 kg per hour. 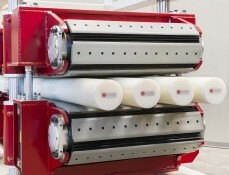 Teflon and lapped calibrators of sizes from 5 mm up to 300 mm ( from 0.25” up to 12” ) are available. 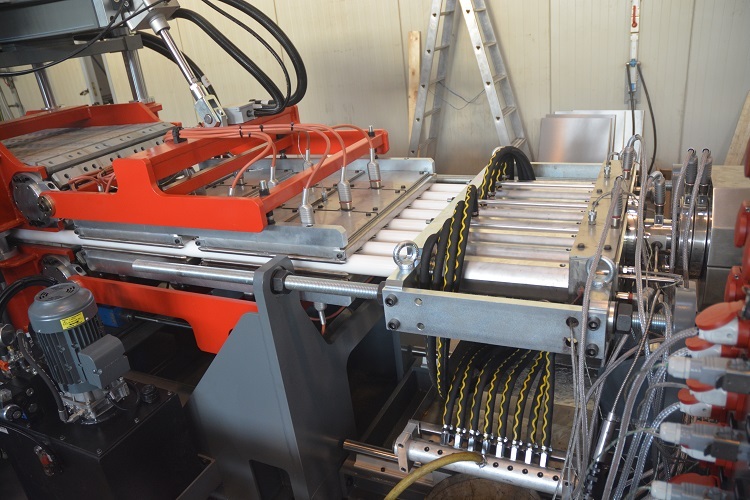 In addition to the standard lines mentioned below, it is also possible to create the plant by assembling the different types of extruders, pullers and by adding optional accessories such as ovens, saws, tilt units etc … at the client’s discretion. 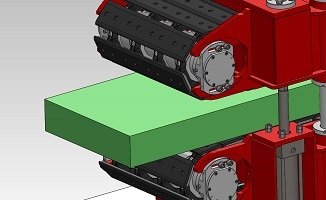 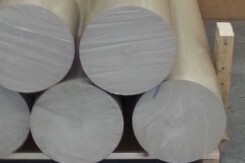 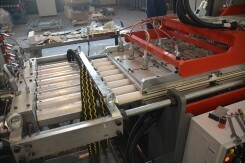 The number of rods which can be extruded varies depending on the affixed die. 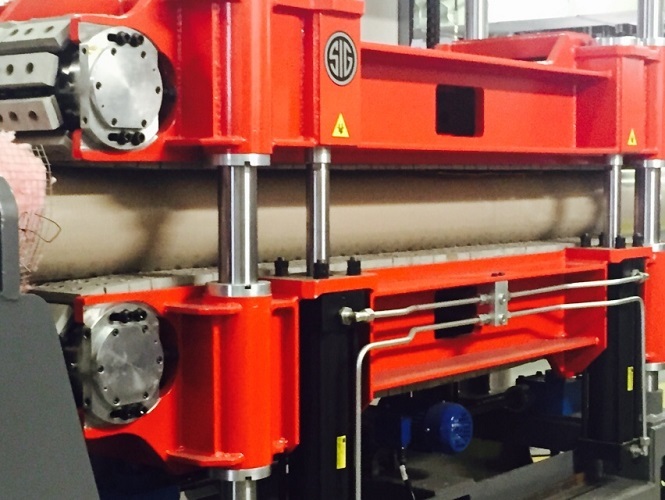 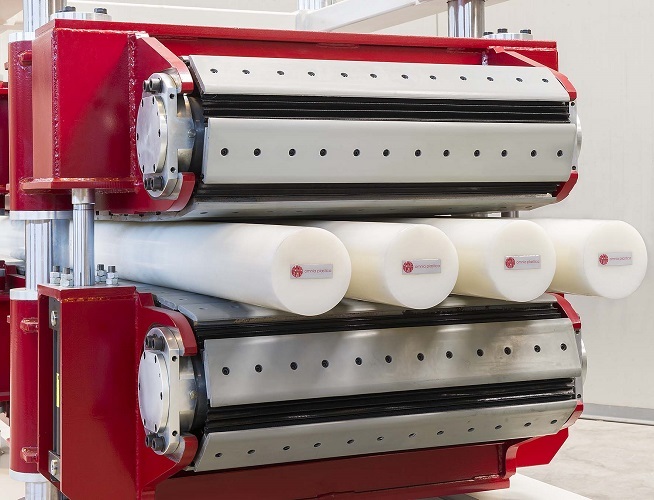 All of our sheet lines are designed for the extrusion of sheets and can be fitted for the addition of press units for the quick-change of the production format.